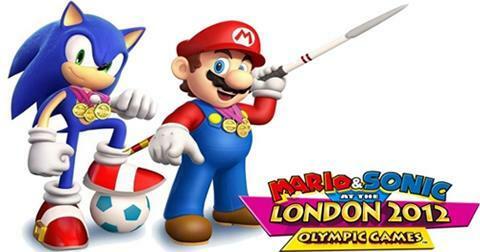 Mario & Sonic at the London 2012 Olympic Games is a Sports-Party game set at the 2012 Summer Olympic games in London and featuring a wide range of characters from both the Nintendo and Sonic game universes who compete in a wide range of sports events. A Wii exclusive for console play, the game continues the fun of the Mario & Sonic Olympic game series with additional new real-world events, "Dream Games" offering expanded Arcade style gaming possibilities, the unique head-to-head multiplayer London Party Mode, and more all against the iconic background of real London city venues. On your marks and get set for the world's greatest sporting event as Mario and Sonic head to the London 2012 Summer Olympic Games. Coming exclusively to Wii for console play, Mario & Sonic at the London 2012 Olympic Games is an all new celebration of the Olympic spirit hosted within the truly iconic setting of London and bringing even more multiplayer fun and excitement to friends and families everywhere. 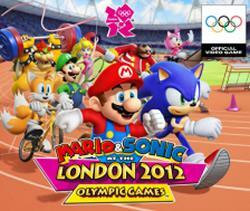 Quest for Olympic sporting glory with Team Mario and Team Sonic at the 2012 London Summer Olympic games. As in earlier releases in the Mario & Sonic Olympic series the 2012 London game features characters from both the Nintendo and Sonic game universes, arrayed into Team Mario and Team Sonic allowing players to compete against each other in multiplayer action in real world sporting events. Events found in the game include those seen in the earlier Mario & Sonic summer Olympic game like 100m Sprint, Aquatics, Table Tennis, gymnastics and more, along with four new events: horse-riding, canoeing, soccer and badminton. Players are also able to compete in multiplayer 'Dream Game' sports event, which are select standard events in which only your imagination and ability with the Wii Remote limit as to how far, fast or how high your character can go. Set in the streets of London the special "London Party Mode" built into Mario & Sonic at the London 2012 Olympic Games allows up to 4 players can participate in a party game that adds another layer of fun to the game. Compete in events and challenges spread throughout the game to gain access to in-game stickers, which are then used to fill sticker sheets. The first contestant to fill all the spaces on her/his sticker sheet(s) will be crowned as the winner.